Did you know that Adaptive is one of the few homecare companies that is directly contracted with the Department of Veteran Affairs (VA)? 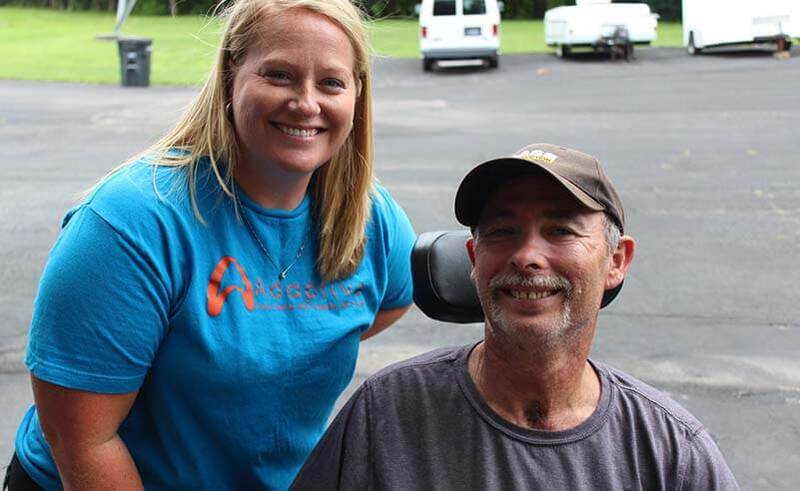 Adaptive is uniquely able to assist Veterans by providing guidance with two separate programs that can provide help in the home. 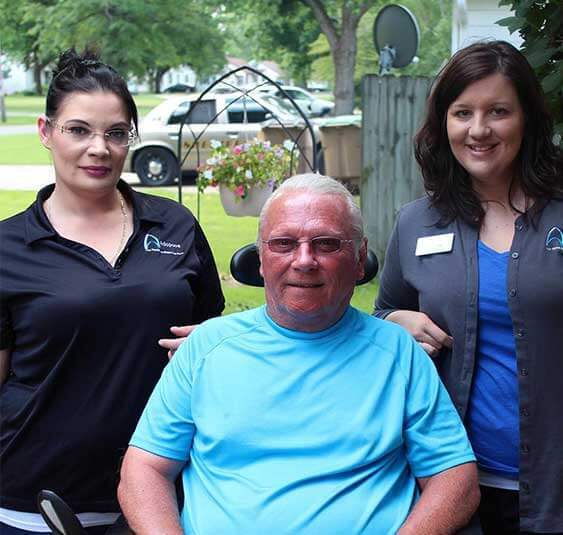 Designed to help veterans with health complications remain in their home, the Homemaker Home Health Aide Program allows a veteran to receive up to 20 hours per week of in-home care by a professional caregiver to assist with activities of daily living. Contact your local Adaptive office to gain additional information and guidance as to how to quality for the program. Designed to assist honorably discharged veterans that have served on the warfront, the Aide and Attendance Program provides funding for low income veterans and/or their spouses to have professional caregiving assistance with activities of daily living. 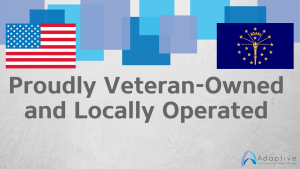 Qualified veterans can receive up to $24,228 in annual pension. Adaptive can assist with the qualification and funding for this program. Contact your local Adaptive office for additional information and to start the qualification process. 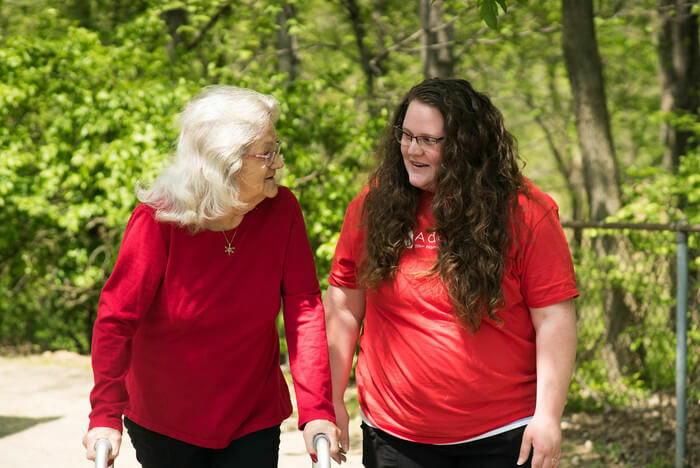 Adaptive understands how daunting it can be to select a home care provider that cares about you. Our Adaptive staff brings countless years of combined experience as a resource guide for making the right choices. We are available to answer any questions or concerns that you have about these services. Do not hesitate to call our office, or submit an inquiry through the form located on the Contact Us page. You may qualify for Adaptive home healthcare if you are eligible to receive Medicaid or Medicaid Waiver. Once a referral is made, one of our RN Clinical Managers (CM) will contact your primary care physician to obtain a written order to assess for homecare services. Once this is received, our CM will conduct a full, hands on, nursing assessment to determine each clients specific healthcare needs, as well as evaluating the home to ensure that it will be a safe working environment for our greatest asset, our caregivers. In addition to medical condition of the client, all potential caregivers must be accounted for. The state requires written documentation for able caregivers that could exclude them from providing care for their loved one. Generally this means a work letter, school schedule, or in some circumstances disability papers that document why a family member is unable to fully care for the client. Once these documents are received, the CM will draft a client specific plan of care, which is then signed by the client’s primary physician, ensuring that the services are necessary and appropriate. This care plan, as well as the aforementioned family member documents, are then presented to the state for approval. Based on their review, generally, the state will approve the PA (prior authorization) for up to 6 months. Anyone enrolled in Indiana Medicaid with a medical condition requiring in-home assistance, often beyond basic Waiver or Attendant care services. A client must have a primary medical physician, who is willing to approve any homecare services that are deemed medically necessary and appropriate based on Adaptive’s RN Clinical Manager assessment for homecare services. Is there a waitlist for your services? As the provider, we are essentially the MAPA “case manager”. There are certain steps that we must take to obtain the necessary information to submit to the state, but typically approval takes no more than 3 weeks. We do not have a waitlist, but we always strive to provide a permanent staffing solution, rather than a piecemealed schedule with sporadic staff members arriving each day. We strive to get off on the right foot and make your Adaptive experience smooth and stress-free. How do I get PA services started with Adaptive? Its simple, just call our office at (812)283-7700 and speak to one of our coordinators. All we need to know is the basic medical need of the patient and the name of their primary physician, and we’ll take it from there! Once I call, what’s next step? Approval is based on medical need, as well as social situation, so this is discussed and additional documentation may be needed from the family. At this time we can give you a good estimate of what services will be approved. All documentation is then submitted to the state for review. -If you are interested in switching your services from your current provider to Adaptive, this process is much easier and we strive to make this a stress free transition. Never settle for anything less than superior service. Give your local office a call to learn more about switching a PA or your Waiver services to Adaptive. Many times we can start services immediately (based on availability of staff). ** If Waiver Services currently exist with another provider, PA services become the primary services and Waiver is treated as Respite service.